Women and children wait for well-child services in rural Tanzania. HFG is working to strengthen the health system, and improve availability and accessibility of quality health services. Photo Credit: Stephanie Boulanger. Tanzania’s complex health system operates in an environment of constrained financial and human resources. An ongoing process of decentralization adds another layer of complexity that stretches the managerial ability of government staff to coordinate and fulfill their roles across multiple ministries and structures. While the Government of Tanzania is committed to strengthening the health system, it continues to face severe challenges in financing care for its citizens. The Government of Tanzania, through the Ministry of Health, Community Development, Gender, Elderly and Children (MOHCDGEC), is working with local stakeholders to address these challenges. Focus areas include the development of the country’s first health financing strategy (HFS), strengthening coordination of health system strengthening (HSS) activities within the Ministry, and domestic resource mobilization (DRM) to finance the health sector. Resource tracking (including the national health accounts and public expenditure reviews) continue to be key activities, enabling the MOHCDGEC to monitor financial flows within the Ministry and the health sector. Through the HFG Project, USAID is supporting the government and key local stakeholders, primarily in areas that relate to health care financing. HFG provided technical assistance to the MOHCDGEC in conducting a mid-term review (MTR) of the government’s Health Sector Strategic Plan III (HSSP III). The MTR provided the MOHCDGEC and other health sector stakeholders with important information on the status of the HSSP III—including progress towards meeting health sector targets, which guided future health system decision-making and allowed them to make any needed mid-course corrections. The MOHCDGEC used the MTR in the development of the subsequent health sector strategic plan (HSSP IV) and the country’s new HFS. In collaboration with the Tanzania Commission for AIDS (TACAIDS), MOHCDGEC and other stakeholders, HFG conducted a public expenditure review (PER) of HIV and AIDS activities. The PER assessed the landscape of HIV and AIDS financing in Tanzania, and its findings informed discussions around operationalization of the country’s AIDS Trust Fund. To facilitate easier data comparison across different expenditure tracking platforms and various government and donor agencies, HFG included further analysis to map government, PEPFAR, and Global Fund spending to categories that are harmonized with PEPFAR Expenditure Analysis and Global Fund reporting. HFG provided essential technical guidance and inputs to support the MOHCDGEC and a consortium of key stakeholders and development partners to advance Tanzania’s HFS towards finalization and approval. The HFS gives direction as to how critical goals of the ministry as outlined in the Health Sector Strategic Plan can be funded, and is the first HFS to have been developed or implemented in Tanzania’s history. HFG supported the Medical Laboratory Scientists Association of Tanzania (MeLSAT) in their efforts to increase provider participation in their online directory of medical laboratory diagnostic services while also helping to building MeLSAT’s site maintenance and quality assurance capabilities. The MeLSAT activity built upon previous USAID support through the Strengthening Health Outcomes through the Private Sector (SHOPS) project to compile a comprehensive directory of medical laboratory diagnostic services available in Tanzania. HFG activities included technical assistance to improve provider/user functionality and knowledge issues, make functional the supplier section of the site, support MeLSAT in providing hands-on training and opportunities for providers to upload service profiles, and the production of video tutorials on directory site maintenance and quality assurance so that the information is readily available for MeLSAT reference and training of future staff. 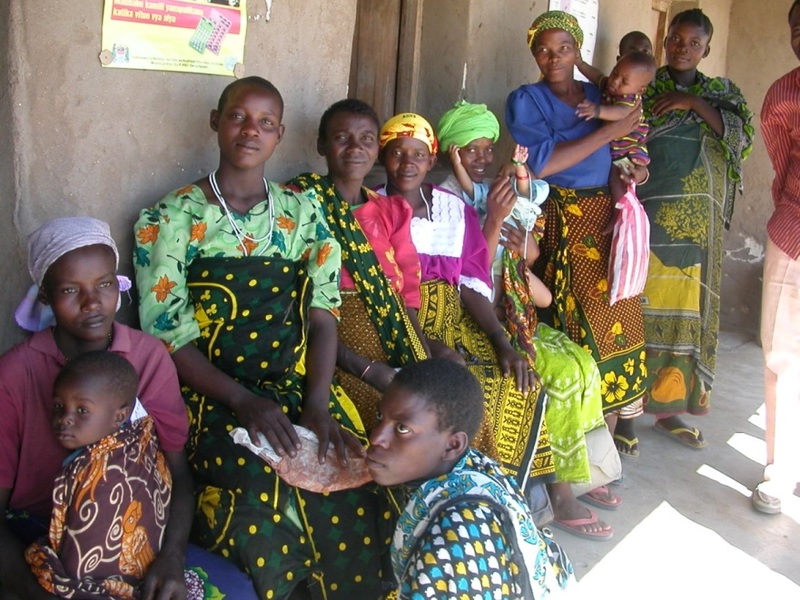 HFG is currently supporting DRM as a key strategy to finance health care in Tanzania. The core-funded “DRM for Health” workshop convenes high-level policymakers from health and finance agencies in several countries, including Tanzania, to discuss the dimensions of DRM and develop strategies and materials. To maintain momentum and help counterparts in Tanzania conduct the tasks and implement the strategies identified at the workshop, HFG will provide technical assistance to workshop participants as they continue to develop draft materials begun during the workshop. Materials include strategies, action plans, timelines, technical briefs, and other materials to support discussions among the ministries of health and finance.